E.COM 2013 is a place for people who have passion in English. That statement came from the head of the organizers of the E.COM 2013, Kalvin Ricky Syahputra, during the event held by BINA NUSANTARA English Society (BEST). The event was held for three days from September 20th to 22nd 2013. The event packed in an English competition for university students and high school students has been held routinely since 2002. 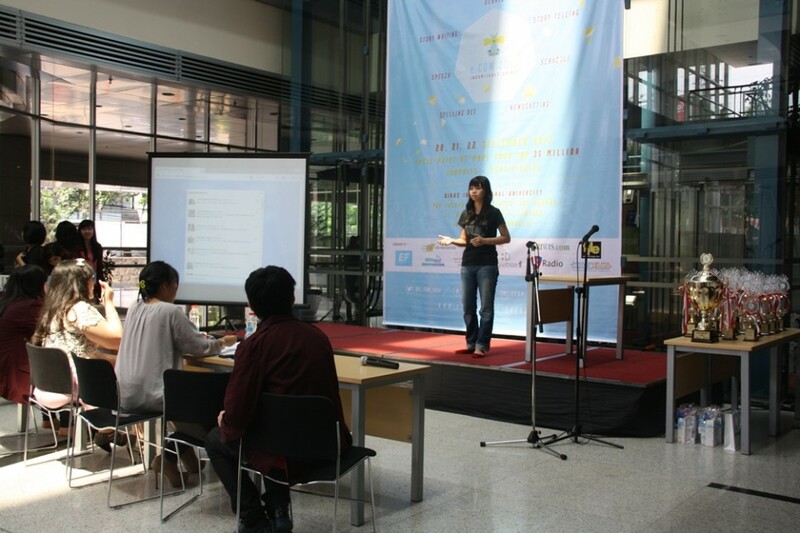 The event was held in two separated locations: BINUS Senayan and BINUS fX. John Peter Honeyben (English Language Service / ELS Manager) was present to open the event. 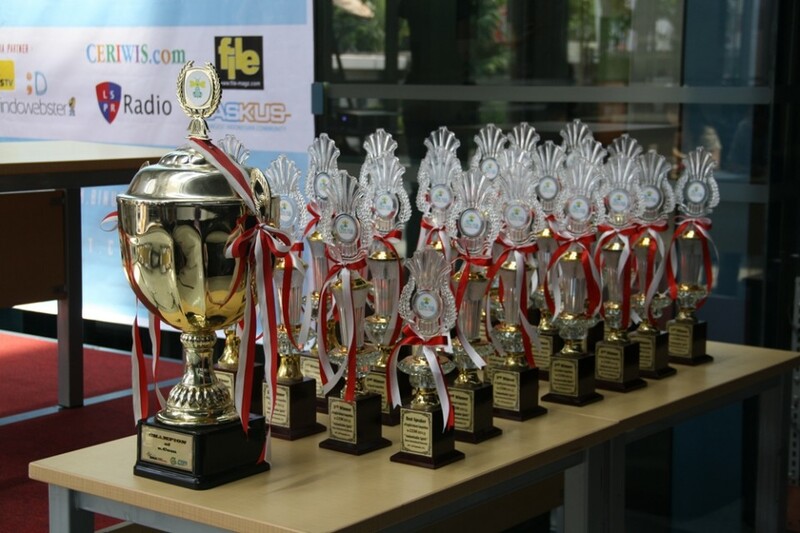 The competition offered prizes that reached more than 35 million rupiah, trophies and also certificates. There were more than 200 university students and high school students from 19 universities and 27 high schools in Indonesia participating in the event. They came not only from Jabodetabek, but also from cities like Medan, Lampung, Batam and Bandung. The competition’s areas were: debate, news casting, scrabble, spelling bee, storytelling, story writing and speech. Kalvin added that the event titled “Indomitable Spirit” was the twelfth E.COM event. He expected the participants would continue to try and give their best effort to succeed achieving their goals with a never ending spirit.